The English Touring Opera are back doing what they do best – touring around of course! They’re stopping off to perform two very different operas. They’ll be performing Tosca on 16th May, but for their opening evening they’re taking on Patience by the masters of light opera themselves, Gilbert & Sullivan. Centring on the aesthetic movement of the 1890s, featuring poets, sighing maidens, hearty milkmaids and a couple of burly officers, this infrequently-performed masterpiece from the duo is set to be every bit as fresh as when it was first put on. Coming hot on the heels of a record-breaking, critically acclaimed West End run, this new production of Funny Girl stars Olivier Award-winner Sheridan Smith in yet another exquisite performance. 50 years ago Funny Girl brought international fame to Barbra Streisand, as she starred as Fanny Brice, a talented young singer with comedic ability who rises to fame from being a Brooklyn music hall singer to a Broadway sensation. Featuring a number of classic tunes including ‘People’ and ‘Don’t Rain On My Parade,’ which still sound as fresh as ever half a century on, this latest incarnation of Funny Girl will enchant you just as much as it the original. After its roaring success last year, The All-Star Stand Up Tour is back at Tyne Theatre & Opera House for another rib-tickling night of hi-jinks and hilarity! Three top comedians who’ve gained international praise are headed to the theatre alongside returning compere Jarred Christmas. The line-up includes Canadian kind of the one-liner and ‘Mock The Week’ star Stewart Francis, as well as Justin Moorhouse of ‘Phoenix Nights’ and ‘8 Out Of 10 Cats.’ Mike Gunn rounds off the bill, and this triple whammy are set to have you rolling in the aisles. Make sure you hold on to your sides, because they’re guaranteed to be splitting! Sunfest is continuing all this month, where students from Sunderland University will be showing off their best dramatic talents. On Thursday, they’ll be taking on one of Bertolt Brecht’s most epic tales, Caucasian Chalk Circe. A parable about a peasant girl who rescues a baby and becomes a better mother than its wealthy biological parents. The two stories collide in a Caucasian City ruled by a governor who serves as Grand Duke, showing off one of Brecht’s more forgotten but dramatic gems. 400 years after Shakespeare’s death rumours have spread that a previously unknown and unpublished play by the Bard has been discovered in the catacombs underneath Durham Cathedral. But alas, poor Yorick! Before it can even be authenticated, renowned Shakespearian scholar Professor Oliver Worldsastage is murdered in cold blood! Highly Suspect are straight on the case, but they’ll need your help to be able to unravel the clues that will lead to the devious killer. Will you be able to solve the devious mystery? Or will the murderer get away scott-free? Katy Brand is best known for being a hilarious comedian, touring the country, writing novels and working as a journalist, screen writer and director. But she’s got quite a past behind her. As such, her latest hit stand-up show ‘I Was A Teenage Christian’ isn’t just an eye-grabbing title: it’s a statement of fact. When she was 13, Katy went into a local church service and became a fundamentalist Christian. From there, she went to church four times a week, convinced she was going to heaven. Now she’s not so sure. Here, she’ll relive her glory days of putting the “fun” in “fundamental” and will try to figure out just what the heck was going on inside her own head. In hysterical fashion, of course! We know Joséphine Bowes as the woman who helped to found The Bowes Museum, but other than that, what do we actually know about her? She’s a figure shrouded in mystery, having left no diaries and only one letter written by her own hand. This exhibition is set to shed some much needed light on her life though, including her career as an actress through various programmes and reviews (spoiler alert: she wasn’t the greatest at it). 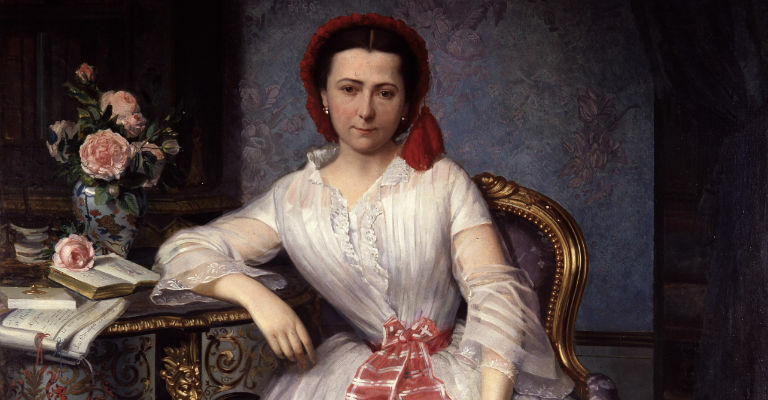 Joséphine had a wealth of other talents though, with the exhibit paying tribute to her position as a wife, Parisian socialite, artist and, of course, museum collector. Prepare to meet the real Joséphine Bowes.